There are many prisons across the nation with rehabilitation programs were inmates help train and rehabilitate homeless dogs, in Georgia, the Department of Juvenile Justice (DJJ) is giving teens and homeless dogs a second chance to change their lives. Rescue 2 Restore, a juvenile life skills and animal care community partnership program, was established in June 2014 as a component of the Georgia Department of Juvenile Justice, Division of Operations and Compliance, Volunteer Services. The program is responsible for building community partnerships and providing DJJ youth with positive animal interactions and lessons. 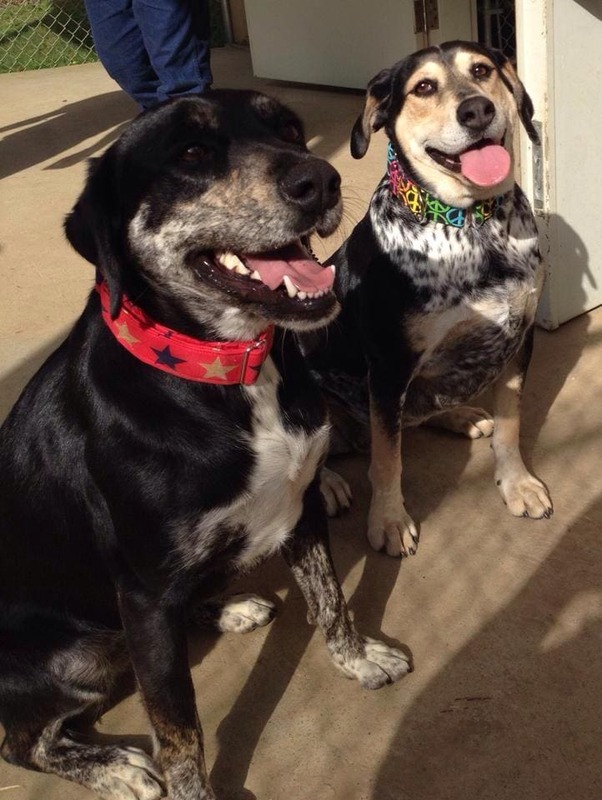 The program is run by Chrissy Kaczynski, founder of Friends of Dekalb Animal Services (FODA), but it falls under the direction of DJJ Deputy Commissioner Sarah Draper. The DJJ currently has two facilities fostering dogs on site for local rescue partners, the Muscogee Youth Development Campus (YDC) in Midland, Ga., and Elbert Shaw Regional Youth Detention Center (RYDC) in Dalton, Ga. Since the program’s launch, eight shelter dogs were enlisted to participate and the majority of them have now found their forever homes. Dogger, Nora, Pansy, Rosie, Roxie, Tag, Bella and Panda, are mid-size dogs, selected based on their friendly temperament. They were pulled from area shelters and paired with participating youths who train the dogs, to help increase the pets’ adoption chances. The dogs do not live with the juvenile participants, but they are housed in kennels established on the grounds of juvenile detention centers. The young trainers don’t share every hour of their days with their dogs, but they do get to spent part of their days training and rehabilitating the shelters dogs. Kaczynski organizes weekly training session were the youths are given instructions on how to teach dogs basic commands like sit and stay, and how to walk on leash. Panda (left) and Bella. Photo Credit: Rescue 2 Restore. 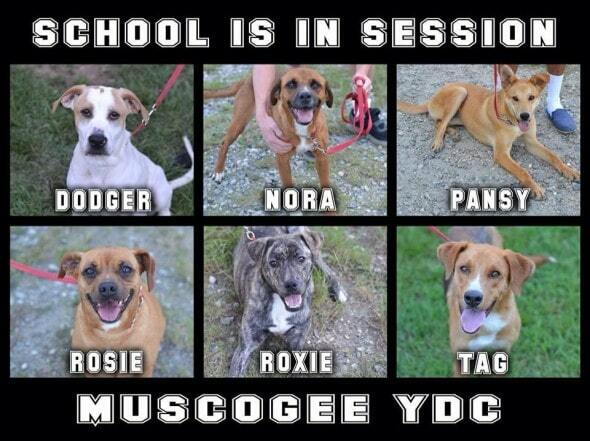 Once the dogs complete the 12-week training program, they are sent back to the shelters they were selected from in order for them to meet potential forever families. Out of the original eight dogs Rescue-2-Restore helped train, four have found forever homes. Bella, Panda, Pansy and Tag are still available for adoption. 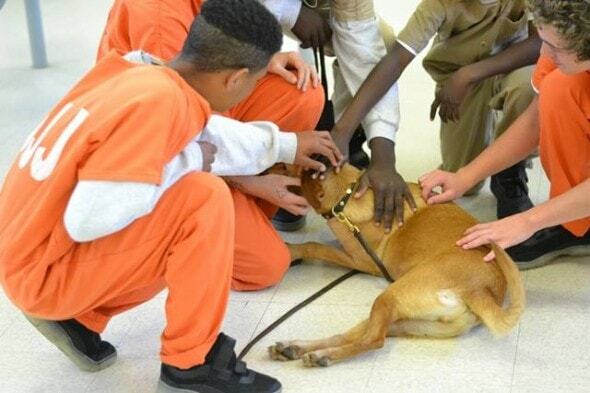 The training program has not only been a success for shelter dogs, but also for the participating kids. Animal lovers know that all dogs deserve a second chance no matter their past experiences. Programs such as Rescue 2 Restore are giving troubled kids a second chance too. For now, the program is only available in two of Georgia’s 26 juvenile detention centers, but organizers hope to expand and have the program available through the majority of the centers. For more information on the programs or if interested in adopting one of the available dogs, contact Chrissy Kaczynski at [email protected]. looks like win’win to me. Is that possible today? I hope they watch the greens closely so as not to abuse the dogs. Big Daddy and I just love being able to be a part of this amazing program. Big Daddy Biscuits donates biscuits to the pups in the program to help with training. It’s a win win situation?????? Thanks for sharing our program! Win-Win for everybody involved…..2 legged & 4 legged……! Every State should have this program! Jasmine Jarchevska this is the sort of thing we talked about on Thursday. Brilliant! Should do that in all States!! Four lives saved, and counting! A special thanks to Chrissy Kaczynski and DJJ Deputy Commissioner Sarah Draper for making this program come to fruition. I found this article through a search for positive youth development programs in detention. This type of program is special to me because I started one very similar to it in Indiana in 2013 and it is still running to date. They have experienced a 100% adoption rate and have found 100’s of dogs homes and made positive connections for 100’s of more kids. I hope that this is still going on in Georgia.